The best way to experience our school and community is to visit our beautiful campus. 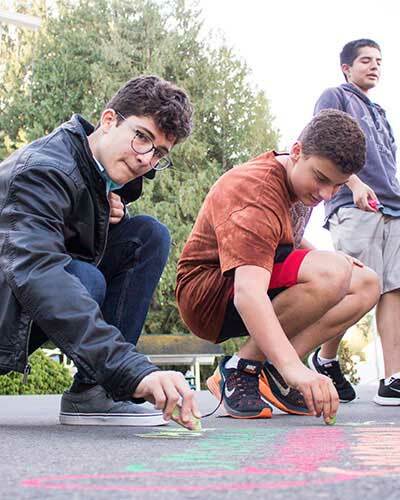 These events offer opportunities to not only explore the campus, but to connect with faculty, staff, students, and parents of Overlake. We would love to meet you; please join us! We are pleased to welcome you to our campus for our annual Open Houses. Our Open Houses are designed to introduce you to the Overlake community in its entirety. Families will have the opportunity to learn about Overlake’s curriculum, student life, athletics, arts programs, and much more. Please refer to your Ravenna account for more information and to register. 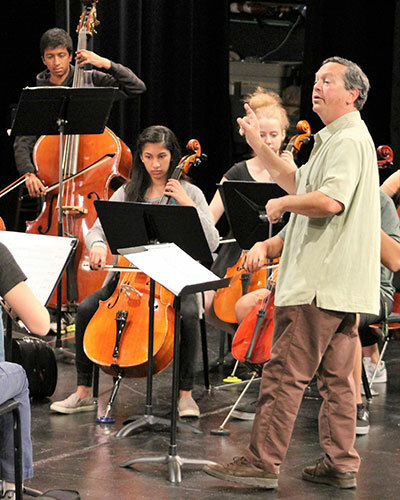 Visit days are a great way for applicants to step into the shoes of an Overlake student. Campus Tours are led by current parents or students. Guests will explore campus and briefly visit active classrooms along the way. Events are available for registration through your Ravenna application account. Questions can be directed to the admission office at (425) 868-1000 or admission@overlake.org. Join us for a few brief video tours highlighting Overlake's Academics, Arts and Athletics programs. Our students will give you a quick overview of each program while showcasing some features of our beautiful campus.